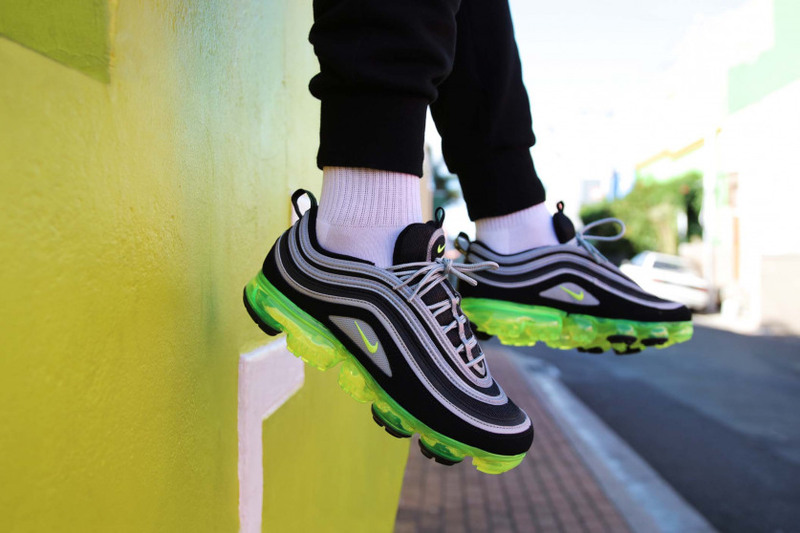 The hybrid Nike Air VaporMax 97 is a new style that is releasing in the classic Neon colourway which takes inspiration from the Air Max 97 Japan OG. Basically mixes the Air Max 97 silhouette and Air VaporMax into one, the sneaker is covered in a mixture of black, metallic silver and white across its nubuck/leather, and mesh upper. 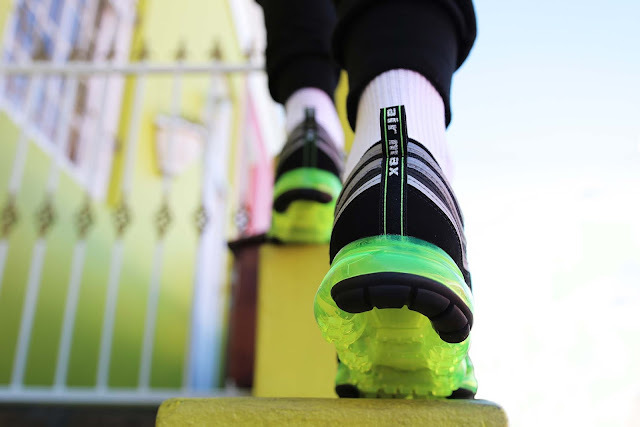 3M reflective trimming throughout and a neon coloured full-length VaporMax sole with black accents on the outsole finally complete the design altogether. 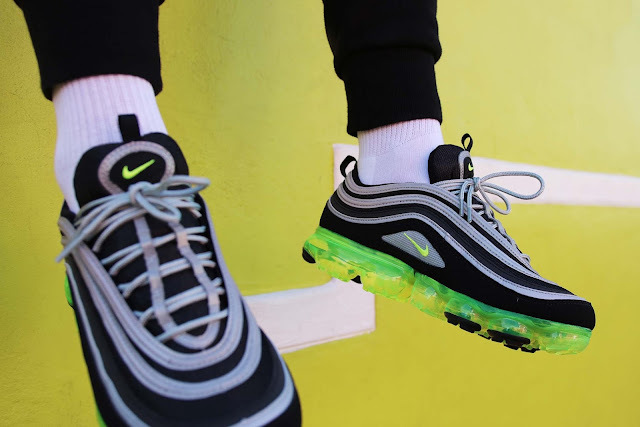 The Nike VaporMax 97 ‘Neon’ is available at selected retailers.